HMX holds a very special place among our Horological Machines: it celebrated our 10th anniversary in 2015 (“X” as in the Roman numeral for 10). 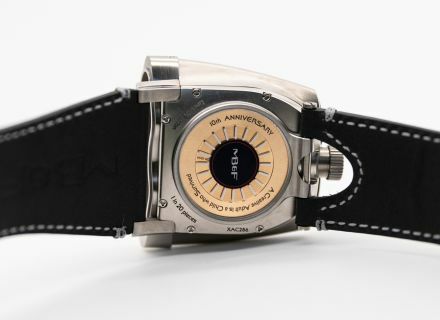 It was conceived as a thank you to the Friends who had supported us during that first decade; rather than developing an ultra-complicated, ultra-expensive anniversary timepiece – standard practice in the luxury world – we cut margins without sacrificing quality, offering a true Horological Machine at an unprecedented price. 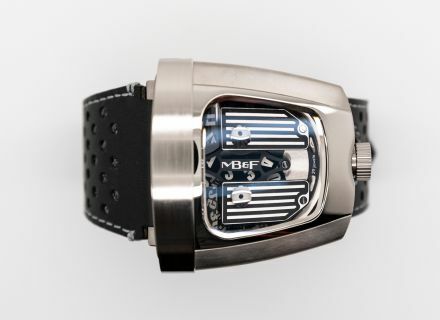 Inspired by sports cars, like the HM5 and HM8, it is built around the same unique combination of mechanical and optical engineering: the automatic movement’s jumping hour and trailing minute discs are reflected vertically thanks to an optical prism in sapphire crystal. 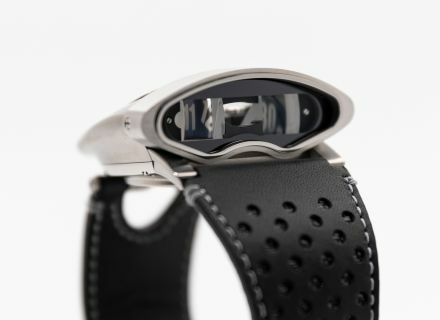 The HMX was presented in 4 limited editions of 20 pieces each in black, red, blue or green; the entire 80 pieces were sold out within two months and we continue to receive requests for this very special anniversary piece. 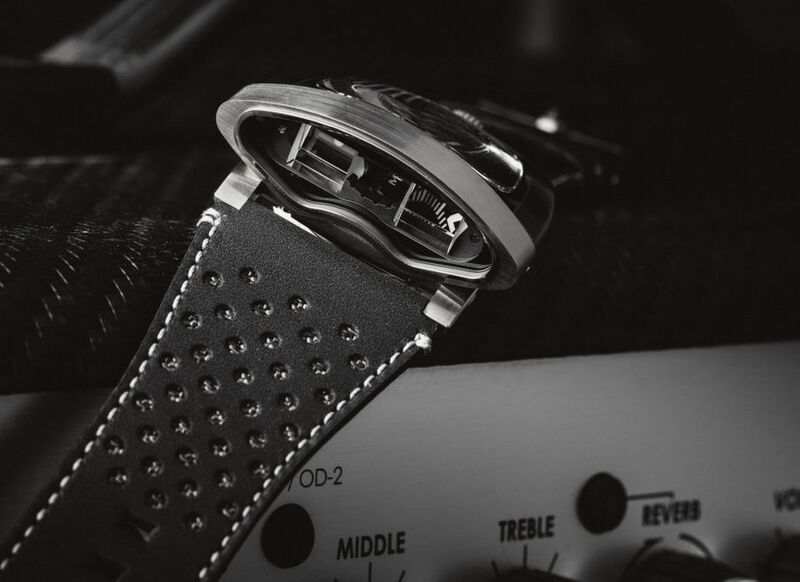 Grade 5 titanium and stainless steel with detailing in black. 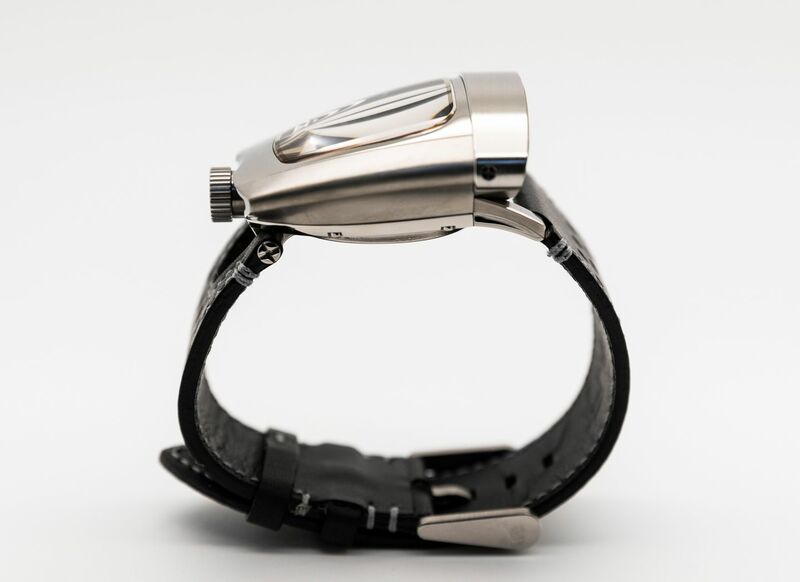 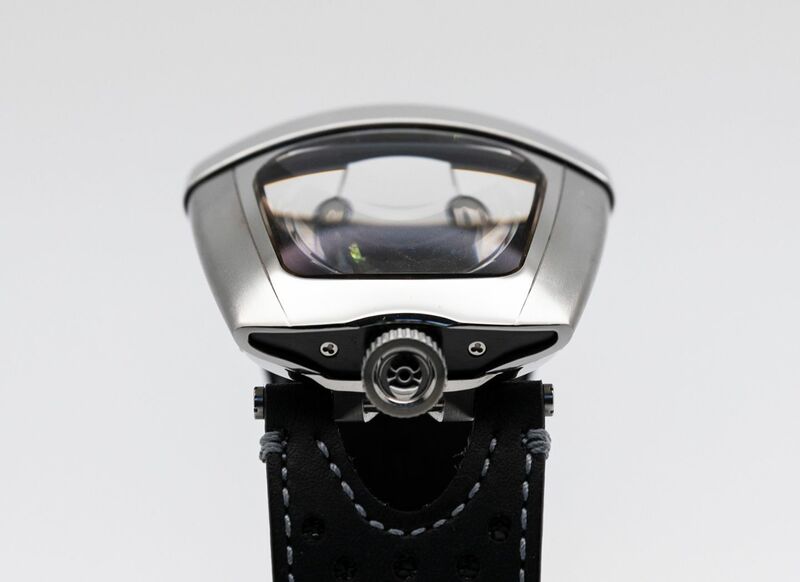 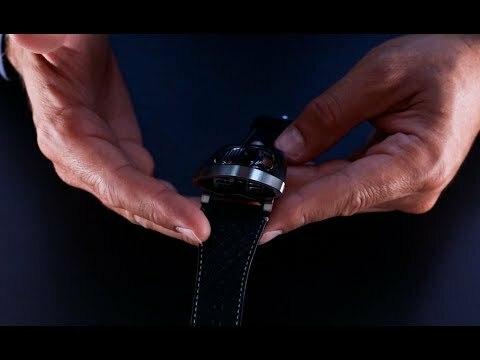 Three-dimensional horological engine, composed of a jumping hour and trailing minutes module developed in-house by MB&F, powered by a Sellita gear train. 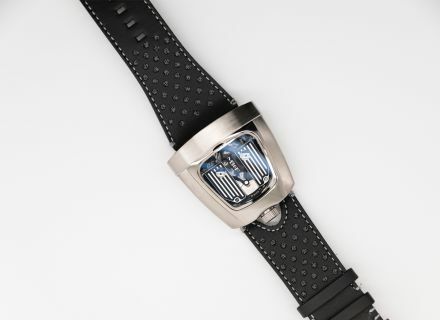 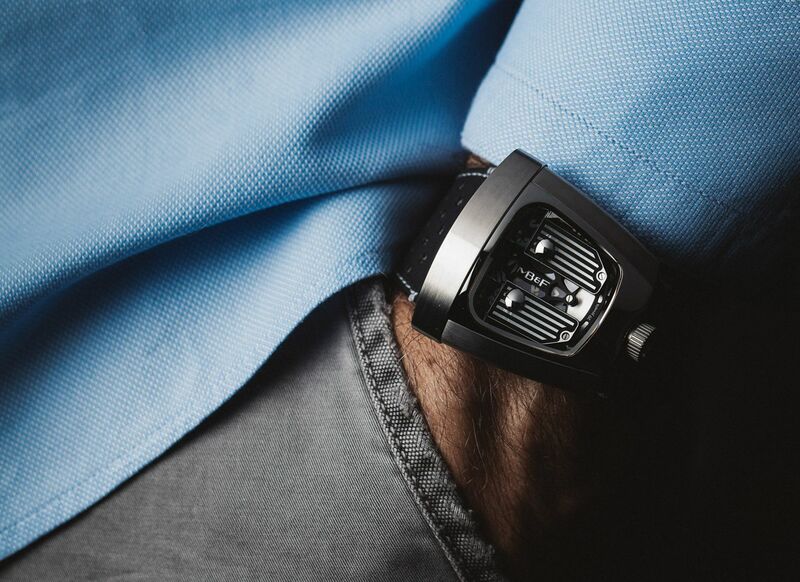 Bi-directional jumping hours and trailing minutes, displayed by dual reflective sapphire crystal prisms with integrated magnifying lens. 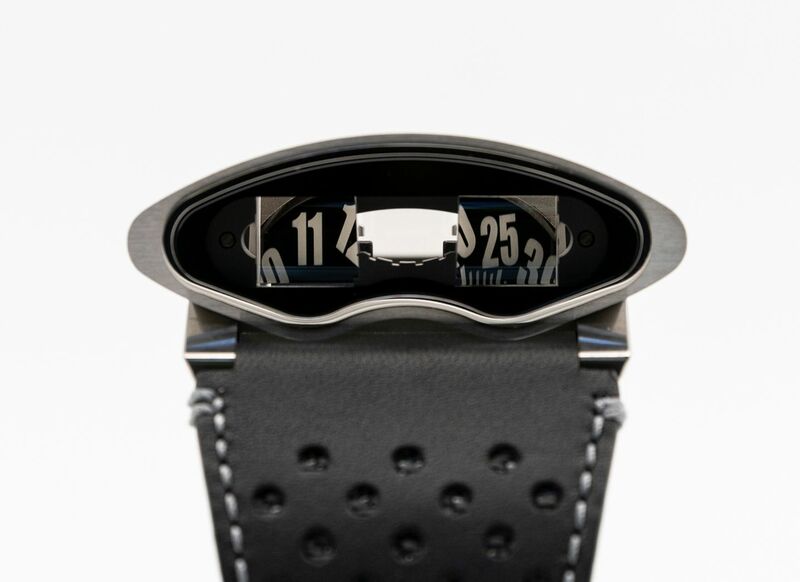 Sapphire crystals on top, front and display back treated with anti-reflective coating on both sides. 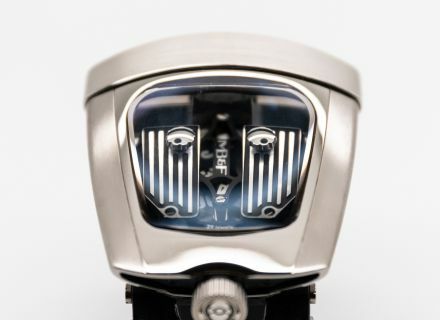 Dual reflective sapphire crystal prisms with integrated magnifying lens.